“What’s wrong with Women of the Wall? Why shouldn’t they be able to pray as they wish, according to their custom?” The Women of the Wall have cast theirs as a battle over religious freedom, when in reality it’s about theology. They have cast it as a fight between “fundamentalist,” ultra-Orthodox rabbis against women, when in reality it is a disagreement between women (and men) who care deeply about tradition, and a small group, motivated by feminism, who want to make unilateral changes in the most sacred site to Judaism today. The Western Wall was liberated from the Jordanians in 1967 – from whom are they trying to “liberate” it? No, it’s not just “the rabbis.” In reality, they are trying to “liberate” the Kotel from the vast majority of women who pray there. The Holy City of Jerusalem is not Selma, and Anat Hoffman is no Rosa Parks. Read the full article at the Jerusalem Post. From whom are they trying to liberate the Kotel? From the whole Jewish nation is the feeling I get. They are trying to change our fathers traditions. Even secular Jews like myself are not happy with their constant search for attention and their intentions. They have made their point enough is enough. refuses, continually distorting the traditional women as bad or “trapped’ by “ultra orthodox”. fortunately, most of the women in israel, it seems, do not side with w0w because no one is showing up for them other than their small group. instead, there are thousands, thousands of young observant women showing up to pray at the western wall. this is a siman tov for the future of israel…as the young observant women far outnumber the distorters of w0w. Hashem has turned a bad into a good (see breshseet/genesis 50 with yosef and his brothers). 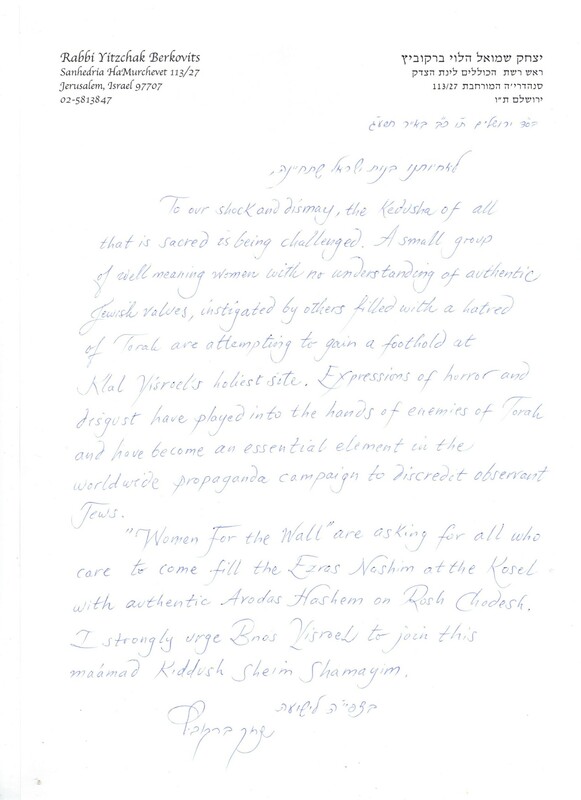 the w0w have tried to do bad and in response Hashem has sent thousands of observant women to the kotel on rosh chodesh! 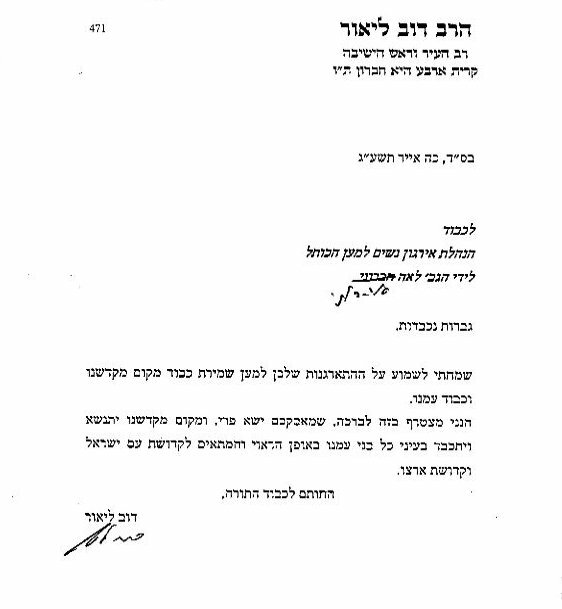 yashar koach gadol and harbe brachot to w4w on how they have handled this situation. can really, truly appreciate the emes of our mesorah.